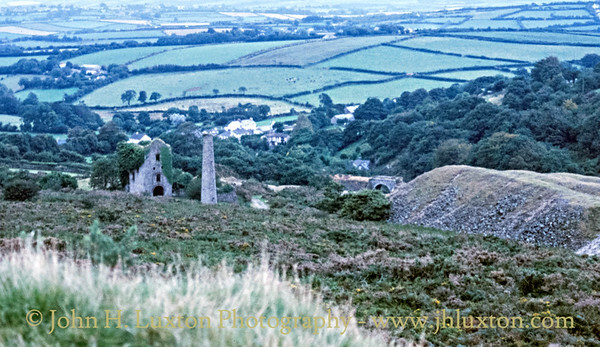 South Caradon Mine mine began operations in 1833 and worked until about 1870. 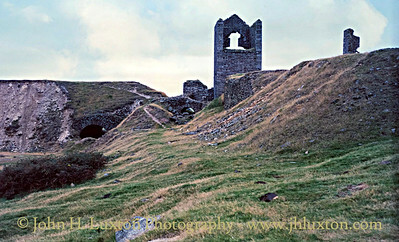 Its finest year's production was the £57,040.40 made from the 5,144 tons of copper raised in 1864. 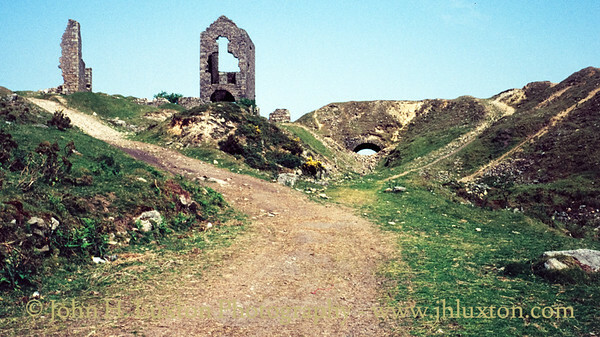 Between 1874 and 1879 South Caradon rose to become the 3rd largest copper producer in the southwest, with Kitford's and Caunter Lodes yielding much of the ore raised. 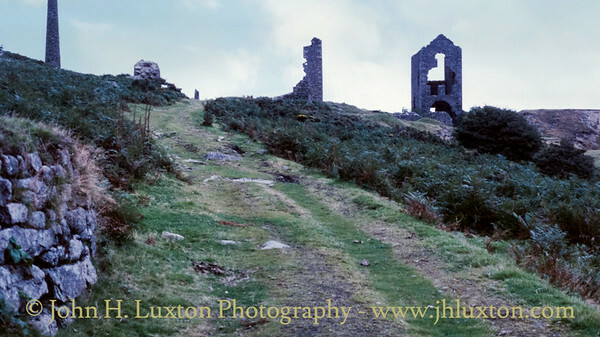 It was, by far, the deepest and richest mine of the whole Caradon group of mines and is known to have produced over 202,000 tons of high grade (10.25%) copper ore between 1838 and 1885. 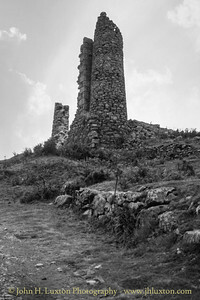 The mine reopened briefly between 1883 and 1886. 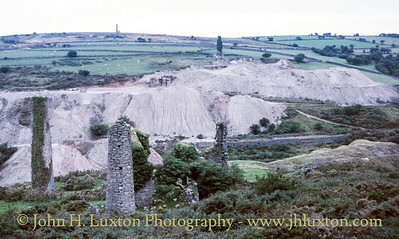 View of the mine from the track bed of the Liskeard and Caradon Railway. 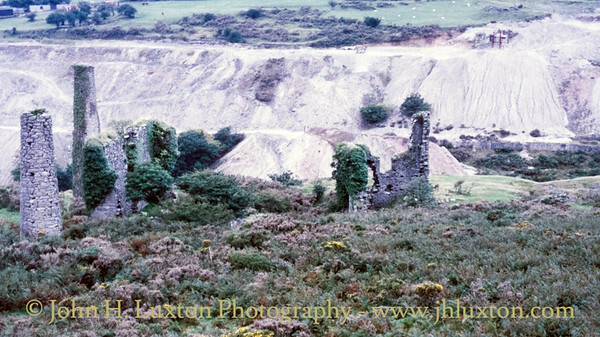 Rule's South Shaft area note the tunnel from the Liskeard and Caradon Railway. The infilled Rule's South Shaft at South Caradon Mine. The bob wall of Rule's South Shaft Engine house. 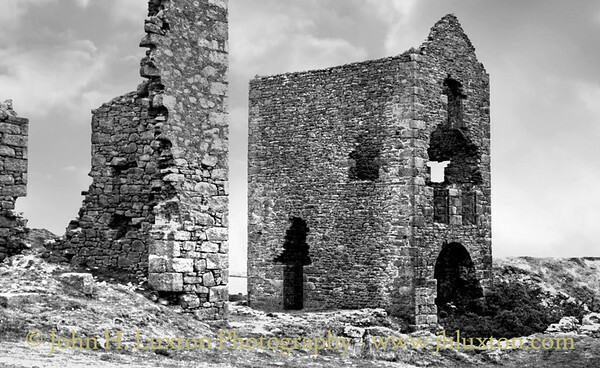 Whim and pumping engine houses at Rule's South Shaft. 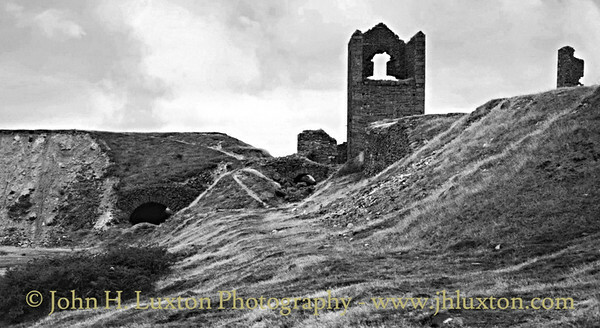 Rule's South Shaft area with pumping engine house right and remains of whim engine house off centre. 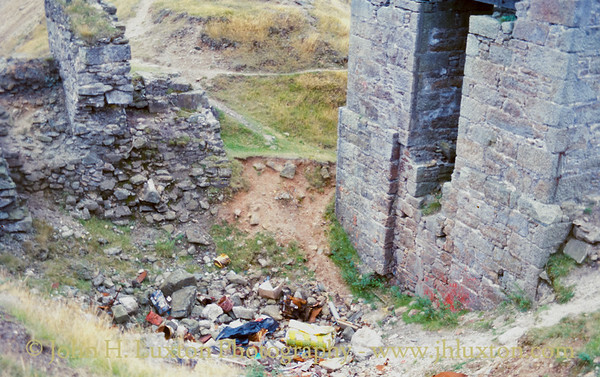 The remains of the buttressed engine house at Pearce's Shaft which housed a 50 inch engine. 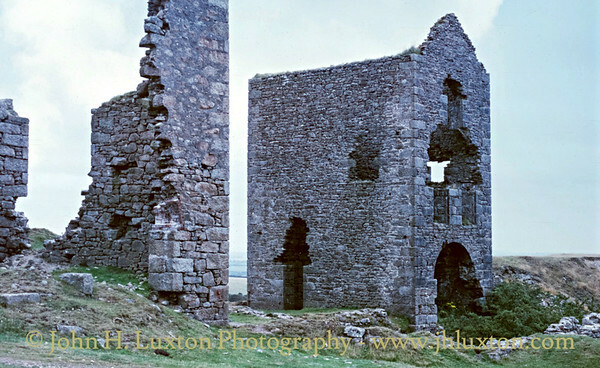 The reasoning for the buttressing was apparently due to the angle of the shaft. 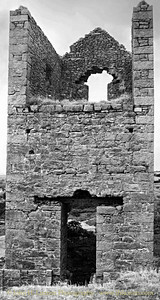 Old Sump Engine Shaft Engine House. 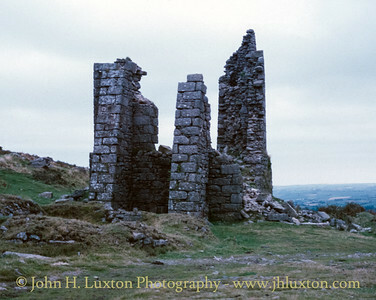 The remains of West Cardon Mine engine house can be seen on the skyline. It has now collapsed. 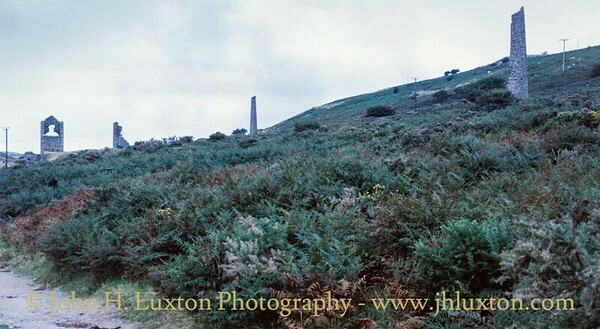 View of Rule's South Shaft engine houses taken from the track bed of the Liskeard and Caradon Railway. 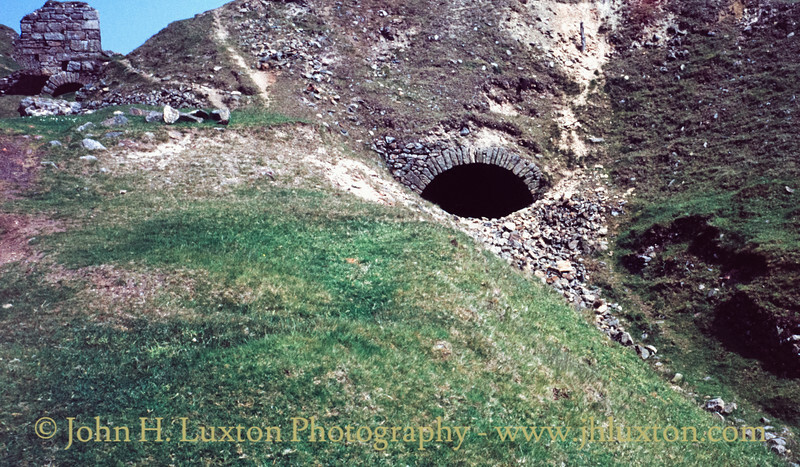 Partially filled in Liskeard and Caradon Railway tunnel near Rule's South Shaft.